Best Mattress for Hot Sleepers is focussing on the cooling mattress. To let a day to an end and begin a new fresh day, we all need a good night sleep. But there are some people who can’t have a proper and comfortable sleep. This is due to some people are hot sleepers, they sweat during the night and get a poor frustrating rest each night. 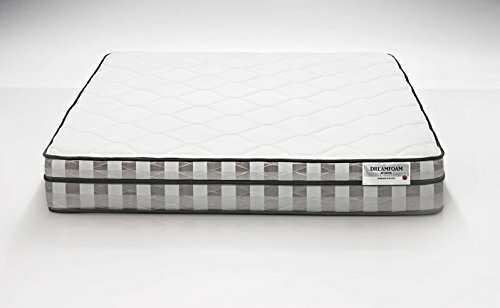 Well, the good news is there are several numbers of innovative technologies in mattresses industry that is ready to get rid of the problems you have for as a hot sleeper. I myself is one of the victims of sleeping hot, but I have done my homework, researched well on many cooling mattresses even bought a few of them. Now I’ll be recommending a few of my top list mattresses to give you ultimately the best cooling mattresses which will help you to pick the right one. Before that, you must know that every product has positive and negative sides. Brooklyn Bedding Aurora is a hybrid bed which brings much more than just cooling. An exceptional product with a slightly high price tag but worth the buy. This is because the latex-like material brings better bounce and airflow than any other traditional memory foam and relieves pressure. You will instantly feel cool due to the covers made of polyester and rayon which have a wonderful temperature regulation property. 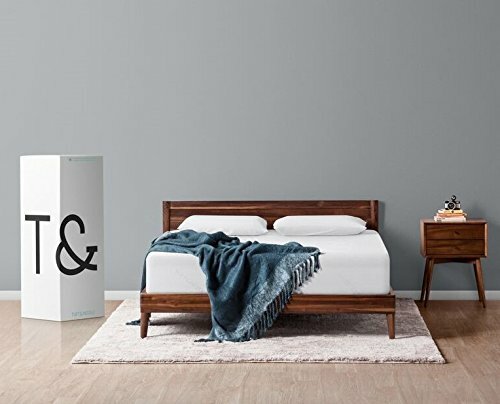 This has been voted as one of the best cooling mattresses of 2018. I simply loved the product. Leesa mattress takes the top layer advantage which is particularly advanced and comprehensive. 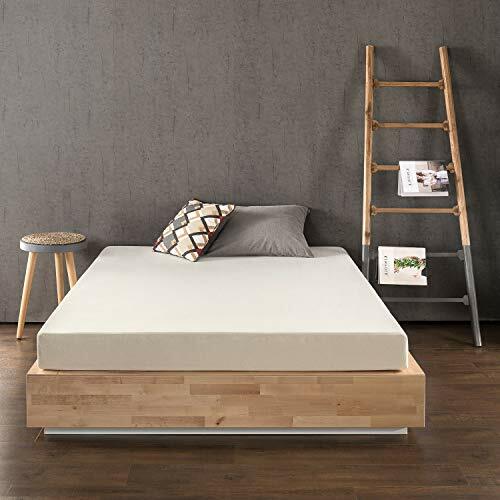 The specific Avena foam which sits on top of a regular foam mattress brings latex-like capabilities at an affordable price. This is a three layers construction foam with 6 inches of support foam that ensures to get the necessary relief of stress on pressure points. It also reduces, and controls heat and works best if you have lower back or shoulder pain. This can be a right kind of product that you might choose. Saatva mattress with springs and coils is the best possible for any hot sleepers as they transfer the least amount of heat and are easily cooled off thanks to the air flow. To experience the advantage of cooling mattresses one can blindly select only one product that is Saatva. They have the specialized manufacturing innerspring beds with the highest quality. There are two coils in the mattress, so the majority of the product is mainly air. For the layers being far too thin to absorb a certain amount of heat, the mattress is generally quite cool. 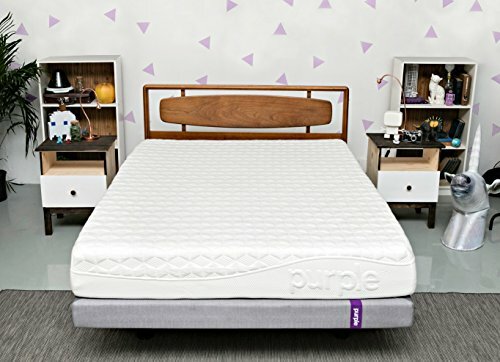 Purple Mattress is a unique mattress with more comfortable and great support. If you want a serious heat controlling product, Purple is the best. It comes with 3 different layers tailored structured. The first layer is of two inches thick and made of hyper-elastic polymer. Super comfortable layer and the layer which prevents the conduction of heat. It is covered with many air holes so that airflow can be done with an ease. The second layer is of three and a half inches of polyurethane. The third layer is of four inches and made of same material as above. 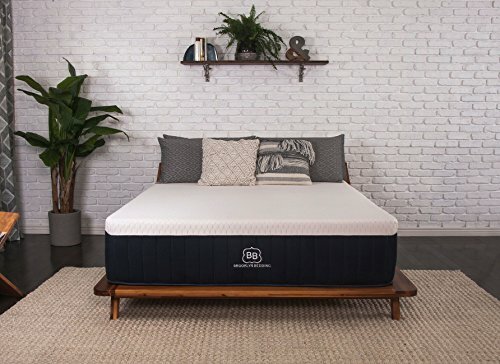 This nine and a half inches cooling mattress gives you serious back support and enhances your spinal alignment with that keeps the mattresses cool which will your main priority now. This is one of the main competitors in mattress markets. If you lay down for 30 minutes the temperature of the mattress will go to nearly 30 degrees Fahrenheit within five and a half minutes. 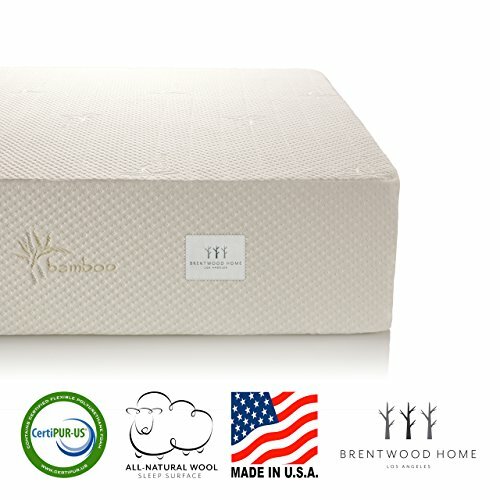 The layer is combined with bamboo fibers and breathable Talalay latex that not only keep cool but gives you a soft feeling that provides with a comfortable experience. The best part is you can also customize the right firmness levels of your specialized needs. If you sleep on your back, side, stomach sleeper, PangeaBed Copper gives you the comfort that you need. This mattress implements the use of copper. Definitely, the mattress keeps you cool but besides this, the cover also offers antimicrobial, antifungal, antibacterial properties. Pangea Bed Copper has small to offer but 100 percent pure Talalay Latex which lies beneath and helps to prevent heat transfer. Looking for a contemporary solution in a mattress for you? Try this. It has special features that you and your partner may love it. It has built-in cooling fans and you can control the sleeping conditions of your environment with the cooling control base. You are also allowed to control the temperatures both spectrums as it is capable of blowing both hot and cool air to your mattress. It’s capable of raising the temperature to 30 degrees or reducing it by as much as 10 degrees. But apart from the base, the product is a cooling mattress. After all, it is made up of coils, gel beads, pillow top, base foam to create a well standard material in the mattress industry. This is also voted as one of the best mattresses in 2018. This is used as the most traditional of mattress types. They use one or more layer of coils/springs. Air passes through the coils which keep the mattress cool. Take note that coil mattress has foams inside it, but they are not explicitly disclosed. Latex foam doesn’t change the formation with the change of temperature because they are a bad conductor of heat. It always remains the same. You should know most Latex foams are aerated, which allows great airflow as it has many holes for air circulation. In our test use, we see some of which are not 100% latex foam, they have the qualities of polyfoam, in that case, you need to have ideas on the types of Latex foam before purchasing. Many mattress manufacturers use gel-infused memory foam as sleeping much cooler than a mattress with standard foams. This is because the gel used absorbs the heat of your body before it changes the temperature. However, the concentration of gel is a matter you should note. More the gel cooler the mattress, low gel means less cool. 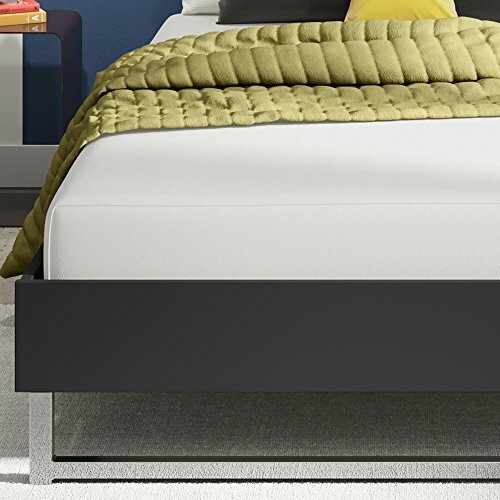 Other trace gel components have little impact on the mattress. Few of the polyfoams are designed to regulate temperature than other polyfoams but not a mattress I recommend for hot sleepers. The experiences from previous owners tell it isn’t worth buying. For an honest suggestion, I strictly suggest NOT to go for memory foam for the hot sleepers. They are viscoelastic. This means they are elastic and viscous. It responds slowly to heat dispersion. They give you the effect of hugging as you apply pressure. But some of the memory foam may not be avoided. Look out for if any product includes technology such as the gel that can cool down the mattress. Not the product you found has to have only comfort layer and support core, the covers have to take into an account as it also affects body heat retention and temperature regulation. There is four mattress cover that is in common. Non-quilted Covers- This is the thinnest cover in mattress industry which allows air circulation flow very well. So, for that, non-quilted covers often sleep cooler than any other cover. Quilted Cover- It is much thicker than the previous one which means that air flows will not be as good as the other one. 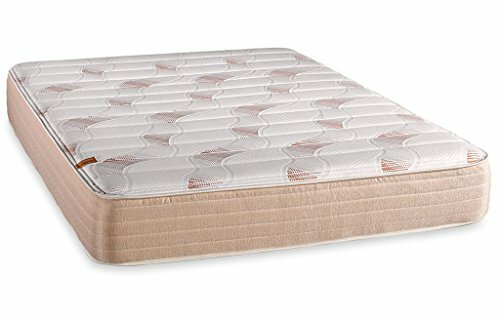 It also features thin layers of poly foam or memory foam which can affect the sleep surface temperature. Phase-change material- This is a good option for both hot and cool sleepers as it absorbs your body heat and then releasing it at a certain temperature. It can be set and tuned at a specific temperature seeking an equilibrium temperature where it will continue to absorb heat until the heat source has reached its set temperature. Celliant- It is produced by thermo reactive minerals which regulate the temperature of your body and improves circulation in sleepers. The covers tend to be mainly cool, but some customers report as hot. Lycra- A special cover for sports clothing as it gives an elastic feel and moves freely. Performance Polyester- This is also like lycra, found in sports clothing which moves freely and wicks moisture. Bedjet Cooling System- A patented technology which controls the sleeping environment without changing the overall feel or appeal of your mattress. Cooling Mattress Pads- A great solution for the desperate consumers for cooling issues who can’t buy a brand-new mattress at that time. Electric Cooling Pads- Same product as above but a little thinner and more attractive to consumers, it reaches to the desire temperature you want but it’s an electric solution which many of them does not look forward into. Purple’s Bamboo Sheets- This is a high-quality sheet which are specifically fashioned out of polyester and obviously of bamboo. Well comfortable and you shouldn’t worry as you won’t get any allergic reactions. Cooling Pillows- Do you remember of turning your pillow to feel the cooler side of the pillow in summer days? Solution is now here. Cooling pillows prevents to absorb heat from your body and won’t conduct temperature like other ordinary pillows. It’s a properly tailored pillow which you can try, I have enjoyed the best feelings so far from the pillow, really loved it! Even though I have tried to help you get somewhat exact products that you ought to look for, believe me or not, there are still plenty of researches left that you should never forget to do before purchasing the right products for you. Remember a good night sleep is the most important thing for any humans!! If we have a routine of an unpleasant sleep, the outcome we expect from ours may not be the best that we wanted. Taking advantages from the best cooling mattress is undoubtedly going to ease the burden and pressure and encourage you to have proper night’s sleep. 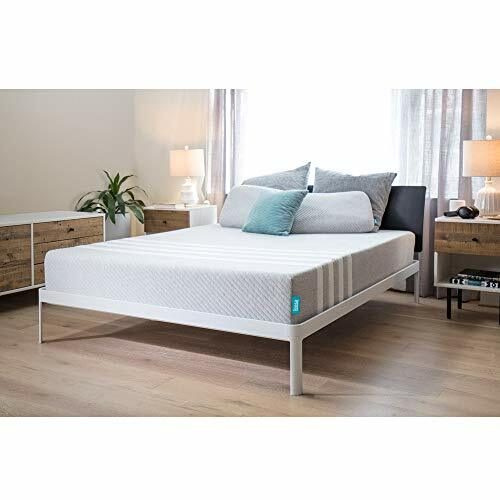 I know it’s hard to choose which one to determine the best for you as some might choose a very cooler mattress or luxurious mattress or chooses the softer or firmer ones. So, it’s important to account individual preferences and always put the support and comfort first. I hope from what I wrote you shall be able to decide which one will best suit for you and your partner so pay attention and pick up the best cooling mattress for hot sleepers. Cheers, Happy Shopping!